It was one of the most dating heists of our time. Over Easter weekend 2015, four elderly men raided the Hatton Garden Safe Deposit Company and got away with an estimated £200 million worth of goods. We'll never know the true value because people keep safe deposit boxes for a reason and despite being convicted, most of the haul was never recovered. Today it has been confirmed that The Hatton Garden Job had been given the green light and starts filming this week. 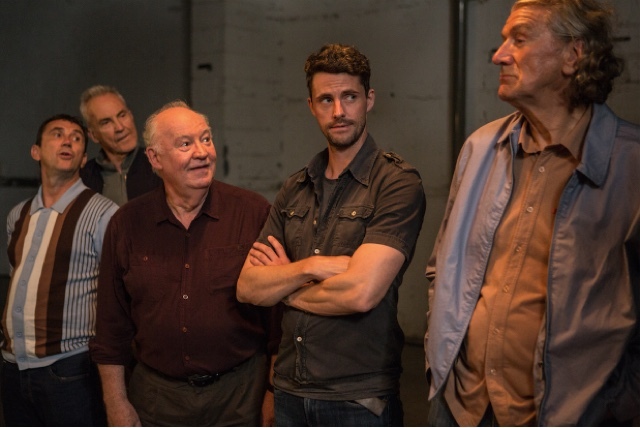 Starring Matthew Goode (The Imitation Game) and Joely Richardson (Nip Tuck), the film will also feature Larry Lamb (Eastenders) as Brian Reader, Stephen Moyer (True Blood), Phil Daniels (Quadrophenia), David Calder (Lady in the Van) and Clive Russell (Game of Thrones). The film will be directed very Ronnie Thompson (Tower Block) who also wrote the script alongside Lines & Bogdanovich. It is produced by Ben Jacques who brought us I Am Soldier and Green Street 3. The Hatton Garden Job starts filming this week in locations around London and is set for a late 2016 release by Signature Entertainment. Hands up who can't wait to see Matthew Goode back on screen!